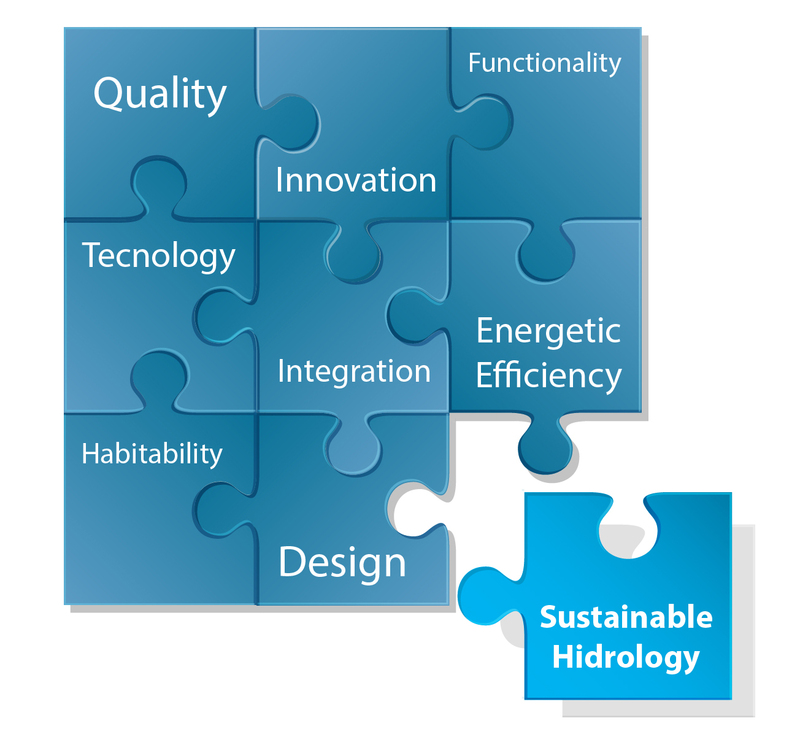 Hidrología Sostenible (Sustainable Hydrology) complements your projects, with analysis of all the factors involved and designing the necessary measures to achieve a sustainable water use. Sustainability is an increasingly important part of any project, due to greater awareness by the people about the need to change our way of doing things. The use of local materials and energy efficiency are aspects that have taken special relevance in recent years. The next step is a rational use of the most important thing for life, the water element. Improve your project, add some blue to your green!